Sure, the date on my calendar says August 31 but, I prefer to think of it as “September 1, Part 1”. After all, September is the month that early access for Forza Horizon 4 begins (September 28, to be specific) and I am simply having a hard time with all this waiting. Like the rest of you, Forza Horizon 4 can’t get here fast enough for me and I know you all are hungry for additional information on the game. That’s where this week’s edition of the Week in Review comes in, so let’s begin! Take a closer look at that list and you’ll see some tantalizing cheevos in there (“Coronation Trickin’” with its skill chain score requirement of 195,300 points comes immediately to mind). Then there’s “Never Tell me the Odds” achievement, with its mention of the Peel P50 that surely raised the attention of fans looking for insight into the car list for Horizon 4. If that P50 got your attention, you won’t want to miss next Friday’s edition of the Forza Week in Review, where we’ll have much more to say about the car list in Horizon 4. 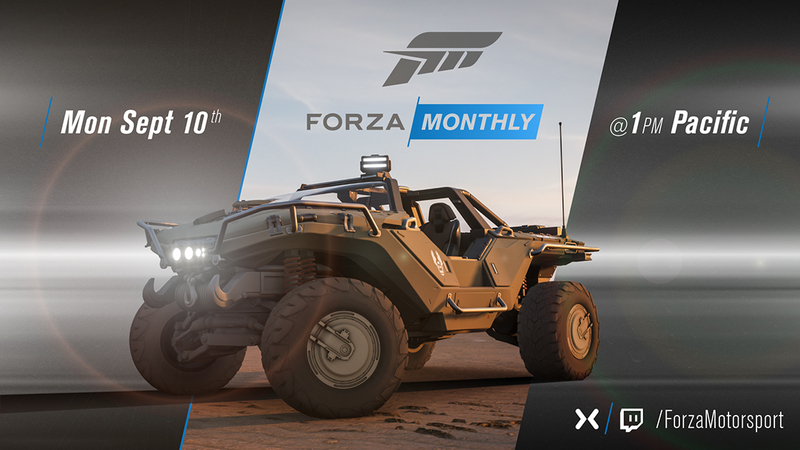 Last week, we teased that the September episode of “Forza Monthly” would be the place where Forza fans could see the Halo Showcase event in Forza Horizon 4 for the very first time. 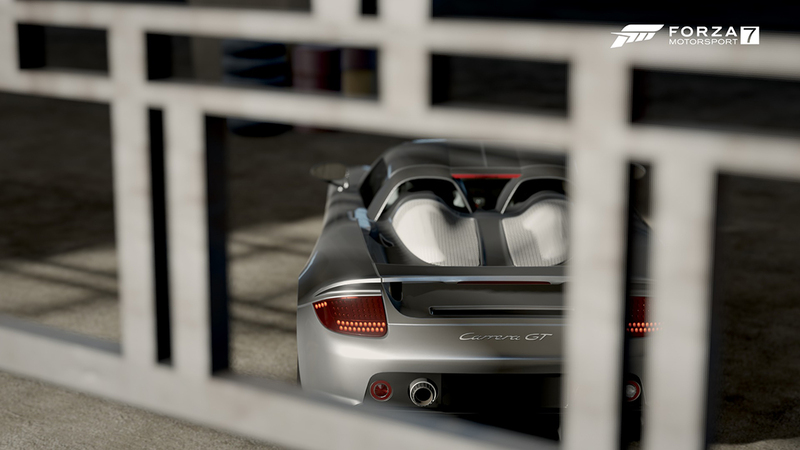 The show will air on September 10 beginning at 1 p.m. Pacific and, in addition to showing off the Warthog in all its Horizon 4 glory, we’ll be diving deep into the Horizon 4 car list, talking about the Forza Racing Championship ahead of the Series 2 Playoffs in Mexico City, and showing off all the cool stuff coming to Forza Motorsport 7 with our September update. Also on the show, we’re going to be giving viewers a chance to vote on a selection of cars that will appear in the Forza 7 Specialty Dealer right after the broadcast is done. Whichever group of cars is voted in will all be sold at a massive credits discount in Forza 7; and that sale will last until the Specialty Dealer is updated the following week. We’ll be showing off the car groupings on our Forza Twitter channel next week – be sure and follow us so you know what you’ll be voting on during the show! 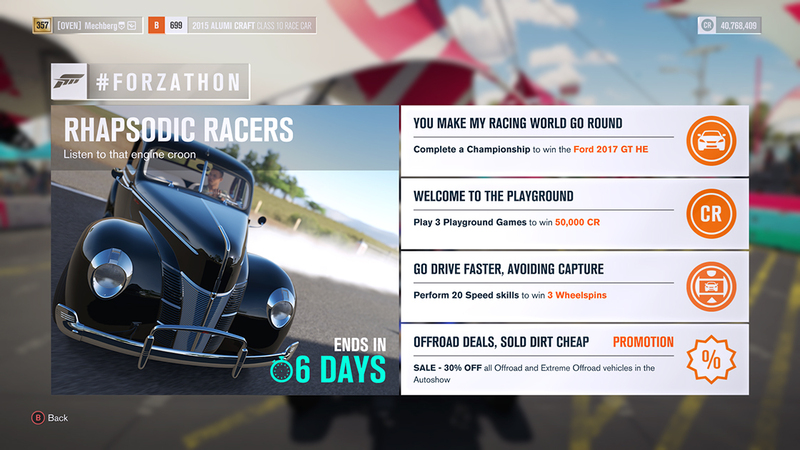 This weekend Xbox Live Gold members everywhere will get the chance to play Forza Motorsport 7 for free as part of Xbox Free Play Days weekend. We’re celebrating this free weekend with a special deal. Want in on it? 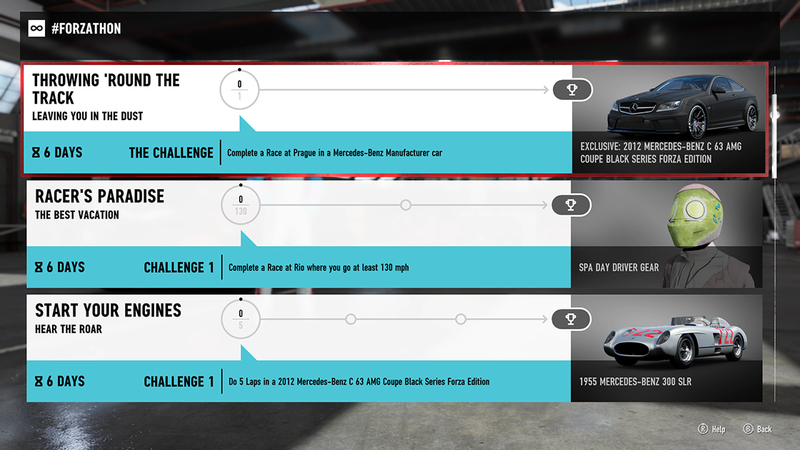 Here’s what you need to know: Complete a race and you’ll earn 1 million credits as part of a special “Welcome to Forza 7” #Forzathon event. 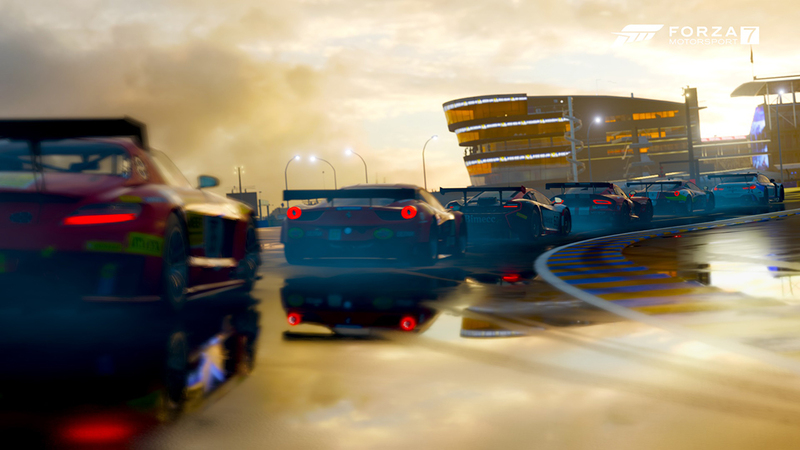 You can finish a race in multiplayer, in Free Play, in the Forza Driver’s Cup campaign. Wherever. Just finish the race and you’ll get a cool million to spend how you see fit. Easy! Alongside that we’ve got a new introductory Rivals event called “Welcome to the Track!” featuring the 2011 Lotus Evora S on Watkins Glen. Go to the “Featured Events” channel in Rivals mode to find it. The August Bounty Hunter event will be running well into September, so don’t miss your chance to get your time in and earn some great rewards once the event is done. That about wraps it up for this edition of the Week in Review. Don’t miss our #ForzaFriday livestream today at 3 p.m. Pacific on Mixer and Twitch. We’ll be back with more great stuff next week; see you then!